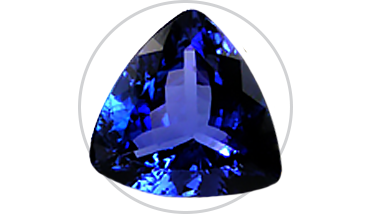 Tanzanite is derived from the mineral Zoisite. A large amount of pleochroism lends the stone a striking luminescence and allows it to reflect a myriad of colors—blue, violet, and burgundy—when its crystals are turned in the light. A synthetic version of tanzanite, called “tanzanique,” is created from a mineral called fosterite; this man-made version lacks the distinctive pleochroism of the naturally occurring mineral. First found in Tanzania in 1967, this striking gemstone was named for the locale of its discovery. Since then, the blue-purple stone has not been unearthed in any other region. A vast majority of the mined stone is imported into the United States for commercial sale. Its rarity makes tanzanite a highly precious gemstone, exceeded only by rubies, emeralds, and sapphires. In 2002, it was adopted as a December birthstone in the first change to the modern birthstone chart in nearly a century. The amethyst is a form of Quartz mineral in a pleasing violet or purple shade, a coloration created by trace amounts of iron. The stone’s hue can be altered to yellow, green, reddish-brown, or creamy white by the application of heat. Natural amethyst is mined primarily from volcanic rocks in Africa and Brazil, although it’s also found in South Korea, Uruguay, Russia, India, and Zambia. The official February birthstone, the amethyst is the traditional gemstone for the 6th wedding anniversary. Linked to an increased sense of calm, serenity, and understanding, the stone is believed to minimize the stress and anxiety of the wearer. In ancient times, the Greeks believed the amethyst helped to prevent intoxication from alcoholic beverages—in fact, its name is derived from the Greek words a and methustos, which translate to “not intoxicated.” In medieval times, European soldiers wore amethysts in their armor to shield them from shrapnel. 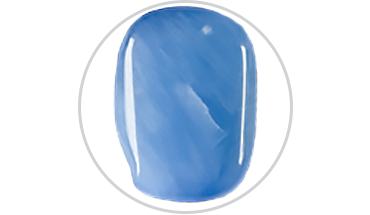 Its wide-ranging color spectrum makes topaz a highly versatile stone for fine jewelry applications. 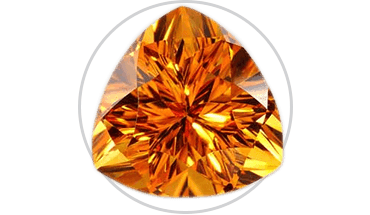 In its purest form, topaz is clear in color, although it is most commonly found in a yellow shade. Other variations include blue, green, gray, white, reddish-yellow, and pink. 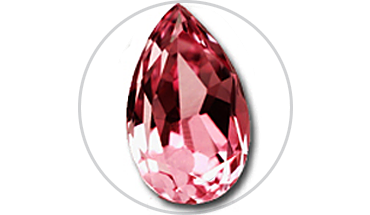 Due to its rarity, red or pink topaz is given the highest market value. Most topaz stones sold today are treated with heat to enhance their natural colorations. When heated, yellow topaz changes to a reddish-pink. 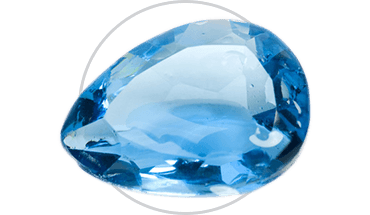 Mined primarily in Sri Lanka, Germany, Brazil, Mexico, and the United States, topaz is comprised of the minerals aluminum and fluorine. Typically found in a crystallized form in caves and lava deposits, topaz can sometimes be found in large deposits weighing hundreds of pounds. Topaz gets its name from the Greek island of St. John’s in the Red Sea, which was formally known as Topázios. The traditional anniversary stone for the 4th year of marriage, topaz is the birthstone for the month of November. Revered as a near-sacred stone in the Middle Ages, opal was thought to possess the combined powers of all other gemstones. Indeed, its reflection of a myriad of colors—clear, white, gray, red, yellow, green, magenta, pink, olive, brown, and black—infuses the stone with a visually arresting luminescence that makes it a striking choice for fine jewelry. Specialty variations include the fire opal, combining yellow, orange, and red, and the Peruvian opal, which imparts a pleasing blue-green shade. 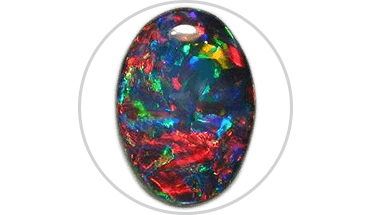 Red and black variations are the most valuable, while the more common white and green opals hold a lesser value. “Precious opal” refers to variations of the mineral composed of silica spheres that display an interplay of various shades of color. Deposited as a mineral gel, opal can be found in a wide variety of rock formations, including basalt, limonite, sandstone, and rhyolite. Common opal can be found in nearly all countries, while the occurrence of precious opal deposits is limited to the United States, Mexico, Australia, Brazil, and Ethiopia. Australia is the source of a vast majority of the world’s opal supply. Named after the Latin word opalus (meaning “precious stone”), the opal is believed by many to bring good luck to its wearer. The birthstone for the month of October, it’s one of the most popular gemstone gifts. Its striking green color makes the emerald a popular choice for adorning fine jewelry and rings. Derived from the mineral Beryl, emeralds get their brilliant green hue from a small amount of naturally occurring chromium. 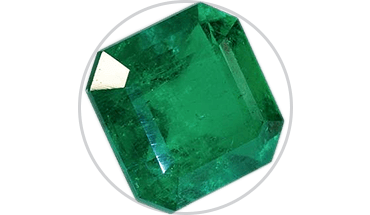 An emerald can vary widely in color, from pale green to a deep bluish shade. Color, cut, clarity, and size are the four defining characteristics that determine the value of an emerald gemstone. The earliest mining of emeralds took place in Egypt, Austria, and Pakistan. In ancient times, the stone was reputed to enhance clairvoyant powers and was often buried with mummies as a means of preserving the spirits of the dead. Today, the highest quality stones are found in the Colombian mines of Muzo, Coscuez, and Chivor; these prized stones boast an unrivaled brilliance and transparency. The birthstone for the month of May, the emerald also commemorates 20th, 35th, and 55th wedding anniversaries and is the traditional gemstone for the Zodiac signs of Taurus and Cancer. Symbolizing love, prosperity, and overall happiness, the emerald was known as the crowning jewel of Queen Cleopatra from ancient Egyptian times. On par with diamonds in terms of rarity, beauty, and quality, the emerald serves as an exquisite enhancement to any fine jewelry collection. We invite you to shop our hand-picked emerald assortment here at Brilliance, including our stunning diamond tennis bracelets with alternating gemstones. One of the most precious and rare of today’s naturally mined gemstones, the ruby is an elegant choice for fine jewelry. Many are surprised to learn this popular stone is actually found in a diverse range of hues. In addition to the dark, fiery red that’s become its defining characteristic, it can be found in a medley of shades, ranging from near-burgundy to a pale pink. It’s this variation of color that determines the price of a ruby—the darker and brighter the stone, the more it will command on the market. 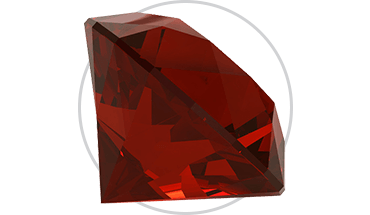 Other considerations when evaluating the fineness of a ruby include clarity, cut, and size. 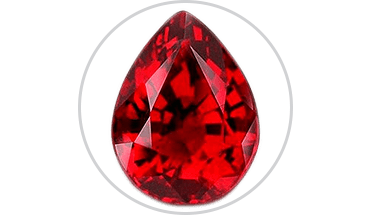 Named after ruber, the Latin word for red, the ruby is derived from the mineral corundum, also known as aluminum oxide. Although the stone is mined primarily in Burma, Sri Lanka, Tanzania, Thailand, and Kenya, it has also been found in various parts of the United States, including the Carolinas and Montana. The official birthstone for the month of July, the ruby is also associated with the summer season and the astrological sign of Capricorn. It’s become a symbolic gift to commemorate 40th wedding anniversaries. Second only to diamonds in regard to hardness and quality, a fine ruby stone will endure beautifully for generations. At Brilliance, many of our fine jewelry pieces are enhanced by premium ruby gemstones. Rubies serve as a striking complement when set in a diamond engagement ring, and also impart a simplistic beauty when worn as stud earrings or a pendant. In its purest form, quartz is white or colorless, although it’s also available in a wide spectrum of colors, many of which are created by applying heat to the stone. Major varieties of quartz include rose quartz, smoky quartz, onyx, tiger’s eye, milk quartz, purple amethyst, agate, and citrine, among others. A highly adaptable mineral, quartz serves a multitude of uses aside from jewelry making, including technology applications and the formation of crystal bowls, serving accessories, and clocks. For many of these industrial purposes, manufactured quartz is used instead of the naturally mined version. Of all the naturally occurring minerals found in the earth’s crust, quartz is by far the most plentiful. Originally discovered in 1880 by French physicists, quartz is often found in granite, limestone, and sandstone, as well as metamorphic, sedimentary, and igneous rocks. Its versatility and value make quartz a popular choice for everyday jewelry. Some spiritualists believe the stone alleviates stress and anxiety and promotes a heightened sense of well-being. Derived of the naturally occurring mineral Olivine, peridot is a rare stone rich in magnesium and iron. 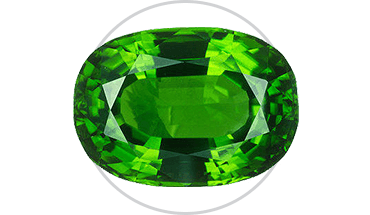 Most commonly found in an olive green color, its shade can vary from light yellow-green to a brilliant kelly-green, dependent on the abundance of iron present in the stone. The price of a peridot stone rises with the intensity of its green coloring. Any visible flaws or tinges of brown result in a significant decrease in its value. Preferred for its bright luminescence and intriguing reflection of light, this gemstone adds a unique beauty to any fine jewelry piece. Found in volcanic lava, peridot is mined primary in Brazil, Kenya, Germany, Mexico, Australia, and the Hawaiian islands. Early miners sought the stone at night, believing the moon increased its visibility. As recently as 1994, a vast amount of the precious stone was unearthed in the Himalayan Mountains, including an enormous 300-carat deposit. Peridot has a rich history rooted in spirituality and symbolism, with various connotations throughout the world. In ancient Egypt, the stone was believed to represent the sun, while Hawaiians claimed it symbolized the tears of revered goddess Pele. The birthstone for the month of August, peridot is the traditional stone for 16th wedding anniversaries. 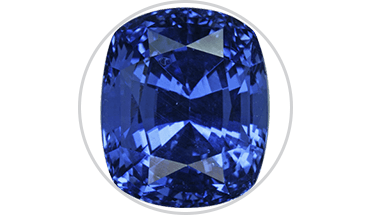 Renowned for its rich variation of colorations, the sapphire can exist in virtually any shade except red and orange-pink. 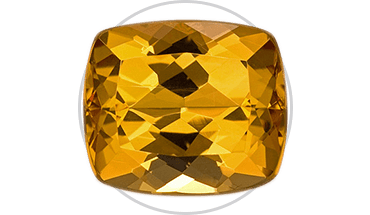 Although most commonly sought in a cornflower blue shade, sapphires also exist in a range of other colorations, including yellow, green, pink, black, brown, and grey. Colorless variations are often used as a substitute for diamonds, and create a striking contrast when placed next to dark blue or black sapphires. The various shades of the stone are created by amounts of other minerals, including titanium, iron, and chromium. Prized since ancient times for its beauty and durability, the sapphire is derived from the Corundum family of minerals. Sapphires are mined from the deepest layers of the earth’s crust. The highest quality stones are found in Sri Lanka, although other occurrences have been unearthed in Thailand, Myanmar, Madagascar, India, Brazil, Burma, and Australia. Rated at a 9 on the Mohs’ scale, which measures the hardness of precious gemstones, sapphires are nearly as strong as diamonds. Garnet is most frequently sought in a bold red color, but can also take on shades of purple, pink, black, brown, yellow, green, orange, or blue, and is also sometimes found in colorless form. Many garnet stones exhibit dramatic color-changing properties according to the light source used to illuminate them. Its wide spectrum of hues make garnet a highly versatile choice for fine jewelry applications. 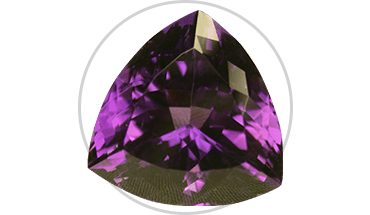 The gem is unearthed primarily in Europe, Russia, and South Africa. For centuries, garnets have served as enduring symbols of loyalty, honesty, and passion. Long ago, they were reputed to prevent and alleviate illness, often worn as a good luck charm by travelers. A traditional gift for a second wedding anniversary, garnet is also the birthstone for the month of January. By all accounts a striking gemstone, aquamarine ranges in color from pale blue to a deep, cobalt blue, a visually appealing result of its iron content. Its soulful shades make the stone synonymous with serenity and harmony. Yellow beryl, rose pink beryl, and white beryl are some naturally occurring variations of aquamarine. 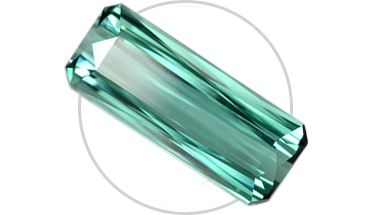 A naturally occurring member of the Beryl mineral family, aquamarine is mined mainly in Brazil, Nigeria, and Zambia. According to ancient folklore, the stone originally served as an antidote to poisoning. Ancient sailors carried it along as a good-luck token to ward off accidents and illnesses. The traditional gemstone for the 19th wedding anniversary, aquamarine is also the birthstone for the month of March. Named for the French word for “lemon,” this distinctive quartz crystal stone is yellow-orange in color. It’s most valuable when in its pure yellow form, although it’s most often found with tinges of orange or brown. Most citrine is mined in Brazil, although some amounts are found in Madagascar and the United States. Centuries ago, the stone was believed to ward off evil spirits and poison. Citrine is one of three birthstones for the month of November. An uncommon form of chrysoberyl, alexandrite displays different hues depending on what type of light illuminates it. In natural daylight, the stone ranges from a yellow-green to a greenish-blue. Beneath the glow of lamplight, it’s a bold red color. This drastic shade fluctuation contributes to the rarity and high value of alexandrite. The precious gemstone is mined primarily in Sri Lanka and Russia, although some amounts are also found in Zimbabwe, India, Myanmar, and Brazil. Similar to an emerald in terms of appearance and durability, this stone is a green garnet with a striking brilliance and a resilient hardness. 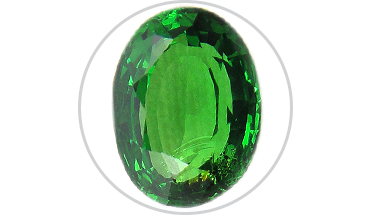 Unlike other green gemstones, no treatment is necessary to enhance the rich color of a tsavorite stone. Priced at a competitive value, tsavorites are quickly gaining in popularity among jewelry enthusiasts. One of the world’s more recently discovered gemstones, tsavorite was originally found in Kenya in the late 1960s. A recent record was set when a 325-carat tsavorite deposit was found in Thailand. Other sources of the mineral have included Tanzania, Toliara, and Madagascar. This distinctive gemstone contains a wide abundance of colorations. Many fine jewelry pieces combine multiple hues of tourmaline together for a rich, dramatic impact. One popular variation is the “watermelon tourmaline,” which is green on the outside and pink on the inside. A member of the trigonal crystal family, tourmaline is a naturally occurring mineral found in conjunction with trace amounts of iron, aluminum, magnesium, lithium, sodium, or potassium. It is found in igneous and metamorphic rocks in Brazil, Namibia, Zambia, Nigeria, Afghanistan, and the United States. The most common form of tourmaline, referred to as “schorl,” comprises as much as 95% of the world’s production of the mineral.